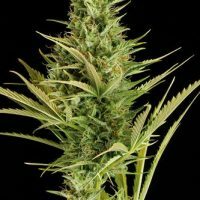 Dinafem Strawberry Amnesia female Seeds produce a cannabis plant with a THC content, Photoperiod genetics and a flowering time of 9 weeks. 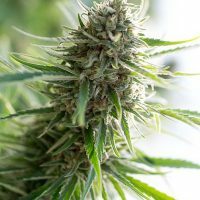 Strawberry Amnesia female Seeds has a genetic makeup of American strawberry strain x Original Amnesia and has a taste described by the breeder as ‘Berry,Strawberry,Sweet’. 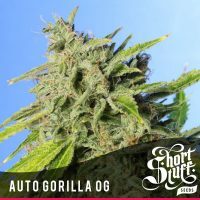 Buy Dinafem Strawberry Amnesia female Seeds at the lowest price online now! Strawberry Amnesia by Dinafem: the best of each of the two lines that have been used to create it. This American strain was developed in New York State by the breeder Kyle Kushman, a renowned breeder and grower. The name means “strawberry cough”, it is quite expectorant and tastes like strawberry. A common friend of Kyle Kushman and Dinafem offered to bring them this delicious genetics from NYC so that Dinafem could try it and develop seeds. Obviously, they could not refuse such an offer. They tasted it several times and loved it so much that one of their breeders considers it one of his all-times top 5 favourites. The genetic base is composed of a Sativa strain with a strong Haze component called Cough and an Indica strain called Strawberry, which brings the fruity sweet taste of strawberries. The Sativa hybrid predominance leads to a vigorous plant that grows well and keeps a balanced structure with short internodal distances. It booms in just nine weeks and has a very powerful, clean, long-lasting effect. In addition, it tastes sweet and fruity, like strawberries, and yields like an Indica, making it a perfect hybrid that brings together the best of each of the two lines with which it has been created. 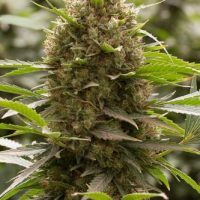 Dinafem have crossed Strawberry with Original Amnesia to add the sweet strawberry flavour and obtain a superior performance above most strains. The Original Amnesia elite clone dominates the Dutch marijuana market. 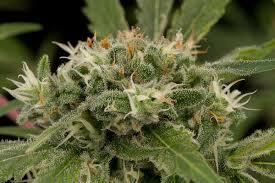 It is the best Sativa seller due to its quality and high yielding. The best candidate Old Europe could offer to cross with a champion like the Strawberry Cough.